Maybe someday Portland will have its own major league team. It's certainly seems closer than ever to happening. For now, they play big league baseball about 170 miles north of Portland. But, despite retooling and parting with six of their top players, the Mariners are likely headed to their 18th consecutive season without making the playoffs. 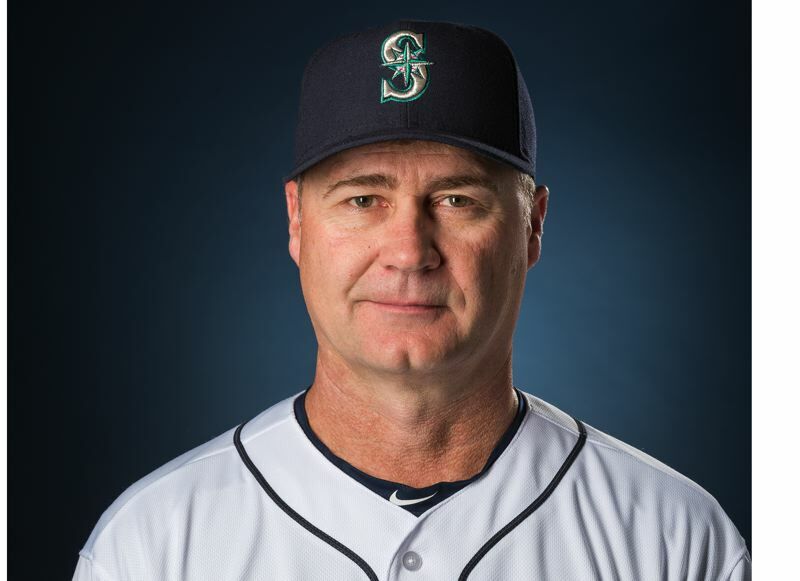 The lineup is potentially a good one for manager Scott Servais. But the pitching is a big question mark. Seattle's 43rd season begins this week with two games against Oakland in Tokyo, Japan, otherwise known as Ichiro Suzuki's swan song in his home country, as the future Hall of Famer probably won't be retained by the club for the active roster. When the home schedule starts, the Mariners will play in a newly named stadium, T-Mobile Park. Let's be positive: Things are looking up for the Mariners after general manager Jerry DiPoto changed the course of the organization by trading second baseman Robinson Cano, shortstop Jean Segura, catcher Mike Zunino, ace pitcher James Paxton and closer Edwin Diaz and letting designated hitter Nelson Cruz leave via free agency. Offseason moves landed the likes of outfielder Jarred Kelenic and promising pitchers Justin Dunn, Justus Sheffield and Erik Swanson. Kelenic leads a list of Mariners position prospects in an organization that hasn't produced many who have stuck with the big-league club outside of Kyle Seager. In addition, the Mariners lured Japanese pitcher Yusei Kikuchi, and he'll likely be in the starting rotation. It's clearly a team in rebuild mode. Some new players will be in the lineup — slugging first baseman/DH Edwin Encarnacion, outfielder Domingo Santana, outfielder/DH Jay Bruce, shortstop Tim Beckham, center fielder Mallex Smith, catcher Omar Narvaez — along with returnees Seager (when healthy) at third base, Mitch Haniger in right field, Dee Gordon at second base, and Ryon Healy and Dan Vogelbach at first base. Seager will be out at least two months with a left-hand injury, and Smith wasn't part of the traveling squad to Japan because of a strained right elbow. Healy, who played collegiately at Oregon, could be the third baseman in Seager's absence. The real challenge will be for Seattle pitching to consistently get outs, from the starters to new relievers to the new closer. It might not be a pretty picture. But we'll see. Gone is Paxton, a dominant lefty when healthy. Inserted into the starting rotation is Kikuchi, giving the Mariners three left-handed pitchers in rotation along with opening day starter Marco Gonzales and crafty vet Wade LeBlanc. Gonzales inherits the tag as team ace, by default. He had a strong first half in 2018, a poor second half and finished 13-9 with a 4.40 ERA in 29 starts. He's slated to pitch the opener, 2:30 a.m. PT Wednesday, ending Felix Hernandez's streak of 10 consecutive opening-day starts. It upset Hernandez to be demoted. Kikuchi, 27, throws with some velocity. He went 73-46 with a 2.77 ERA in seven seasons in Japan. He's slated to pitch in the second game of the series, 2:30 a.m. PT Thursday. Steady Mike Leake, LeBlanc and Hernandez make up the rest of the rotation. In the final year of his seven-year, $175 million contract, and slated to make $25 million, Hernandez, who turns 33 on April 8, will try to change the downward trend of his career. He's coming off a poor season (8-14, 5.55), which saw him relegated to the bullpen for one appearance, and which came after a poor 2017 (6-5, 4.36). Hernandez has said he understands the importance of the season, because he wants to earn another contract. It'll be interesting to watch, because Hernandez has lost velocity and has been adjusting his pitching with mostly mixed results. He enters the season with a career record of 168-128 and 3.34 ERA in 404 games and 2,658 innings. The bullpen turned into a strength last year, but the organization brought back only the likes of part-timers Dan Altavilla, Chasen Bradford, Nick Rumbelow and Roenis Elias. Anthony Swarzak, acquired from the New York Mets, will join the bullpen when healthy. And Hunter Strickland arrives as the new closer, replacing the star Diaz, who went to the Mets along with Cano for Bruce, Swarzak and the prospects Dunn and Kelenic. Strickland has been mostly a set-up reliever, and even played for the World Series champion San Francisco Giants in 2014. He notched 14 saves last year with San Francisco, but had a career-high 3.97 ERA. He's a hard-throwing righty, and Seattle hopes he can be good enough to make up for the loss of Diaz, who had 57 saves and a 1.96 ERA last season. The Mariners, who came close to the World Series in 1995, 2000 and 2001, remain one of two franchises to not play for the championship, with Washington being the other. The Mariners lost steam in 2018, finishing 89-73, and Oakland breezed past them to finish second behind Houston in the American League West Division. Chances are the retooling job doesn't propel the Mariners into A.L. West contention; chances are they'll battle Texas for fourth place behind Houston, Oakland and the Los Angeles Angels. After Japan, the Mariners play San Diego in exhibition games March 25-26 at T-Mobile Park, and then resume regular-season play against the Boston Red Sox at home, March 28-31.